Carowinds Camp Snoopy is new for 2018! Carowinds re-magined what Planet Snoopy was and created a camping theme with Snoopy, Charlie Brown and all of the Peanuts gang. Carowinds added six new rides (even though they did take a few away) and the results are going to make children and parents very happy. Camp Bus: Buckle up on the wacky camp bus and take a ride that will lift guests into the air and back down to the ground in smooth extensions. PEANUTS™ Trailblazers: Get behind the wheel of a Jeep-themed vehicle and burn rubber on a small, round speedway. Kite Eating Tree: Ride along in a kite vehicle that travels up and down a tree. Pig Pen’s Mud Buggies: Take a trip in a “mud buggy,” where guests will rotate around the popular Pig Pen character while bouncing on a bumpy ride. Woodstock Whirlybirds: Spin around in an oversized birds nest on this classic ride. Beagle Scout Acres: an 8,000 square foot play and climb area. All of the existing rides have been re-themed or re-painted to go along with the Camp Snoopy theme. 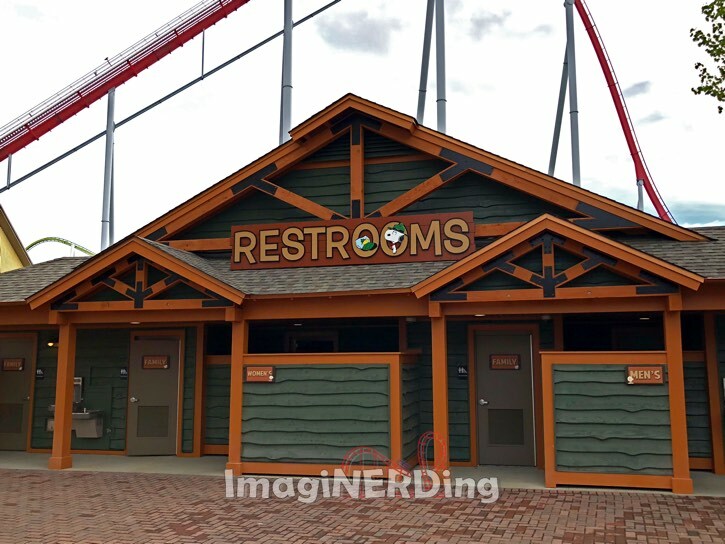 There’s even a new restroom near Harmony Hall, just outside of Camp Snoopy! If you’re planning a trip to visit Camp Snoopy with kids, then make sure you are at the front gates at least 10 minutes before posted opening (remember, parking adds about 10 minutes to your travel). You should be able to get most of Camp Snoopy finished before the massive crowds hit (usually an hour and a half after opening). The queues can be pretty long, meaning that you’ll have to wait a while for each ride. Are you excited about the new Carowinds Camp Snoopy? Star Wars: The Last Jedi on Blu-ray! Carowinds 2018 – What’s New this Summer!